Incredible memories of max Birshtein (1914-2000) on the website “cultural enlightenment” about how survivors evacuated to Uzbekistan artists in the beginning of the war. Notes and sketches Birshtein has kept his daughter, Anna Birshtein. The work of his father it was published in a series of mini-albums, has long become a bibliographic rarity. “I came from a hungry, scary Turkmen life. And here the circle rejoicing, raging bright abundance, open benches crammed with all sorts of fruits, they smoke the barbecue in tents, counters piled with vegetables, rice, nuts, mixed with raisins; thick sellers-Uzbeks in expensive robes, belted below the waist orange, red embroidered shawls, which are wrapped thick wads of cash on their heads — black and white pattern skullcap, and over the ear plugged lovely rose, slyly smiling eyes, and seem to have fun moving the thick black mustache. 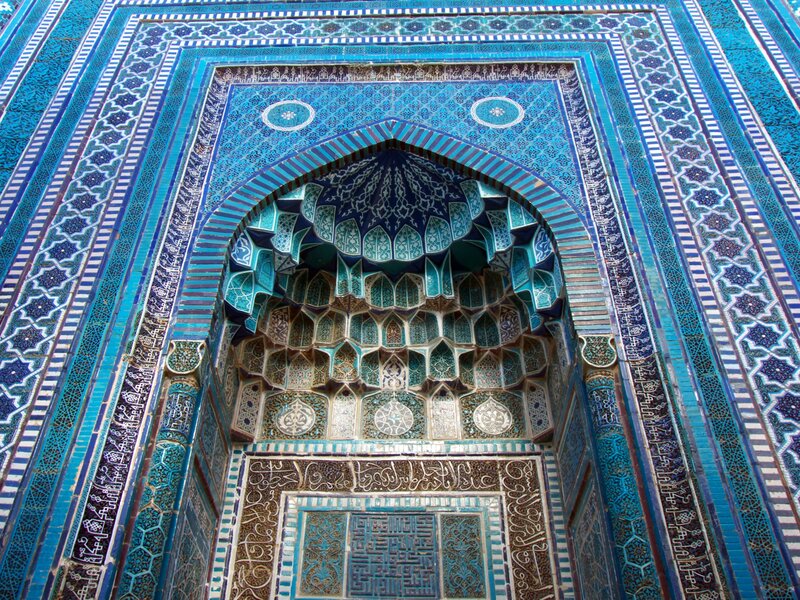 Many urban bluish-gray, gray or pink, but if a white or green means it’s Haji, a person visiting Mecca. Girls and women sell round glossy, crispy, Golden, sprinkled some seeds, hot, crisp, such beautiful and such then unavailable, but such delicious cakes. And the sun shines brightly on a dark blue-purple sky. And finely and dry click of hooves gray hairy sweetest little donkeys, sitting on them, the important fed Uzbeks or wise white-haired elders. Paradise! There was another way to make money, but this is later in the spring when it was warm and everything blossomed but has not yet come such a terrible heat. In small teams we “stray artists”, went on foot from Samarkand to the nearest farm, in the village. Offered to arrange a tea house: sometimes on the white wall of the village’s teahouse, we wrote a picture, such as a feat Kicker is a war hero, who broke into the German trench and killed the Germans entrenching shovel. Uzbeks click language wonder, is it really depicts the truth or is it “propaganda”. For the work we receive, or money, or in kind: bread, flour. In our team: If we draw a portrait, make sure that in ” no ” the customer does not recognize, the shadow under the nose and the cheeks are not encouraged, it is necessary to draw all the buttons, and if you have the badges, it is necessary to perform everything exactly. A great connoisseur and lover of Persian miniatures and Oriental art in General, doing these portraits is masterful”. Fully memories of the artist and gallery of his work see “cultural enlightenment”.